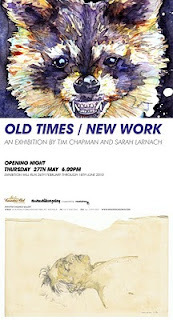 If You Dig Dinosaurs Like I Dig Dinosaurs...: OLD TIMES / NEW WORK sarah larnach and tim chapman exhibition! opens this week! 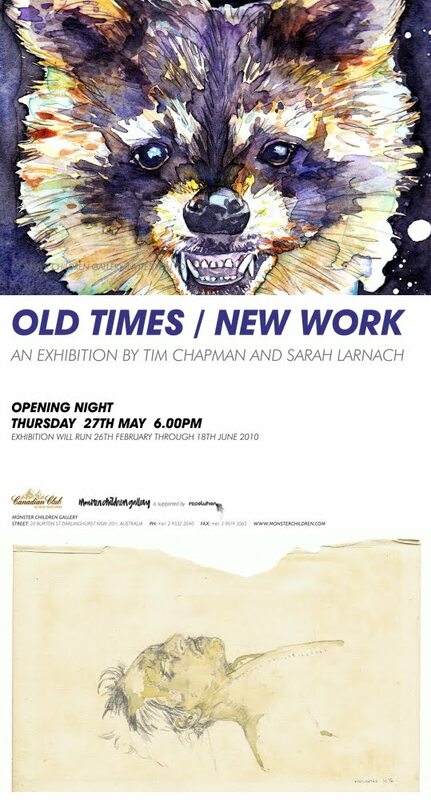 OLD TIMES / NEW WORK sarah larnach and tim chapman exhibition! opens this week! Show opens this Thursday may 27th at sydney's Monster Children gallery. I have TEN pieces in this show. yeowsers. Some exhibition pieces (L to R)- Horse Babe From Newcastle, Space Raccoon, Totem Elephant Trophy. the space raccoon is amazing, love the light blue drip.